Meizu Note 9 TENAA Listing Updated with Images - Playfuldroid! 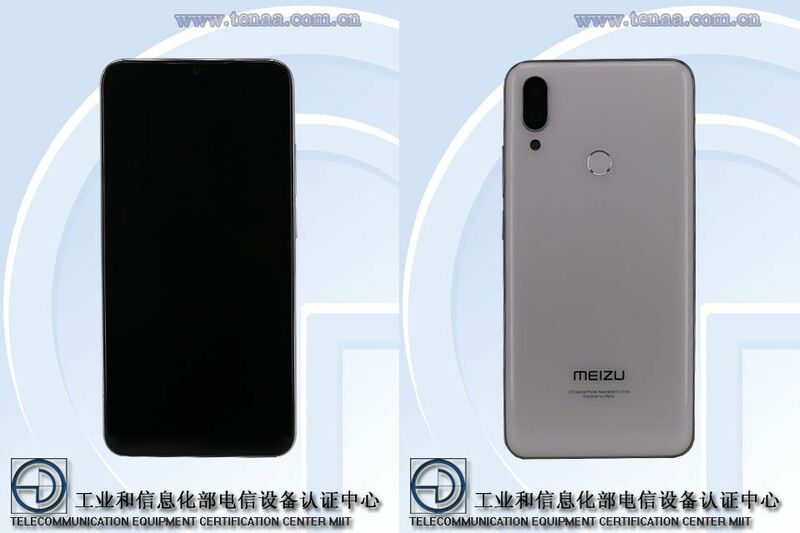 The below images show that the Meizu Note 9 will be the first Meizu smartphone to come with a waterdrop-style notched screen. Compared to the Meizu Note 8 from last year, the Note 9 sports a slightly refreshed rear design. The Note 8 featured a vertical dual camera setup in the top-half of the device. The TENAA listing of the Note 9 reveals that it has a dual camera system on its rear along with a fingerprint reader. Previous reports had claimed that the Note 9 will be featuring a side-mounted fingerprint scanner. The Meizu Note 9 will be featuring 6.2-inch display that will support HD+ resolution. The Snapdragon 675 and 6 GB of RAM will be powering the handset along with 4,000mAh battery. The rear side of the phone features 48-megapixel + 5-megapixel dual camera setup. For capturing selfies, it has a frontal shooter of 20-megapixel. It is loaded with Android 9.0 Pie OS. The internal storage of the device is 64 GB and it carries support for expandable storage.